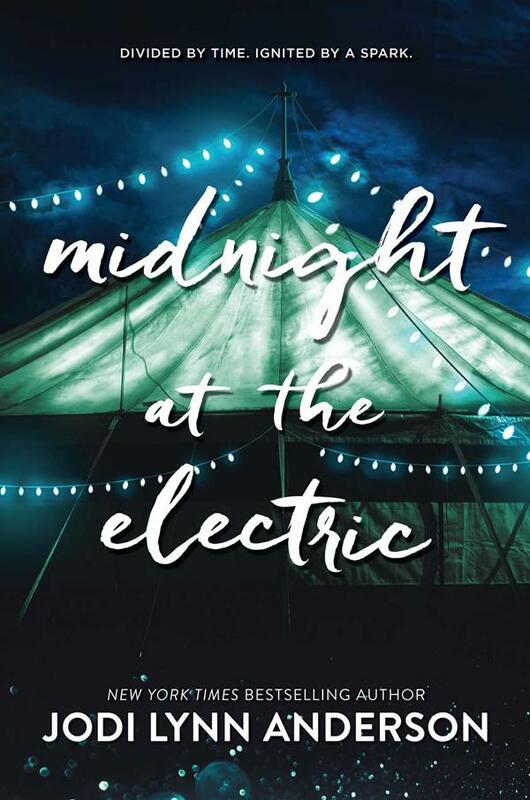 Midnight at the Electric by Jodi Lynn Anderson. June 13, 2017. HarperTeen, 272 p. ISBN: 9780062393548. Int Lvl: YA; Rdg Lvl: YA. Grades 9-12. All her life, 17-year-old Adri’s been preparing to be a Mars colonist, so when she must leave behind her home in Miami, thanks to rising ocean levels, she doesn’t mourn too much, since she’s been ready to leave the whole planet behind for years. Her sense of detachment wavers, though, when she’s placed with Lily, her elderly, last living relative, in the months leading up to her one-way trip to Mars. In Lily’s ancient Kansas farmhouse, Adri finds shreds of clues about her past, including enigmatic letters and journals and, oddly, a Galápagos tortoise. Now cold, prickly Adri finds herself fixated on where she came from—particularly the stories of two women, Catherine, who lived in Lily’s house during the Dust Bowl, and Lenore, who lived in England during WWI—just as she’s about to leave it all behind for good. As Anderson beautifully weaves together Adri’s, Catherine’s, and Lenore’s stories, each of the three women come vividly to life through distinct voices and behaviors. Their stories have parallels—environmental devastation, leaving home behind, and finding a new one—but they’re all deployed with determined subtlety, and the resolutions, while never tidy, are tantalizingly satisfying. With quietly evocative writing, compellingly drawn characters, and captivating secrets to unearth, this thought-provoking, lyrical novel explores the importance of pinning down the past before launching into the mystery of the future. 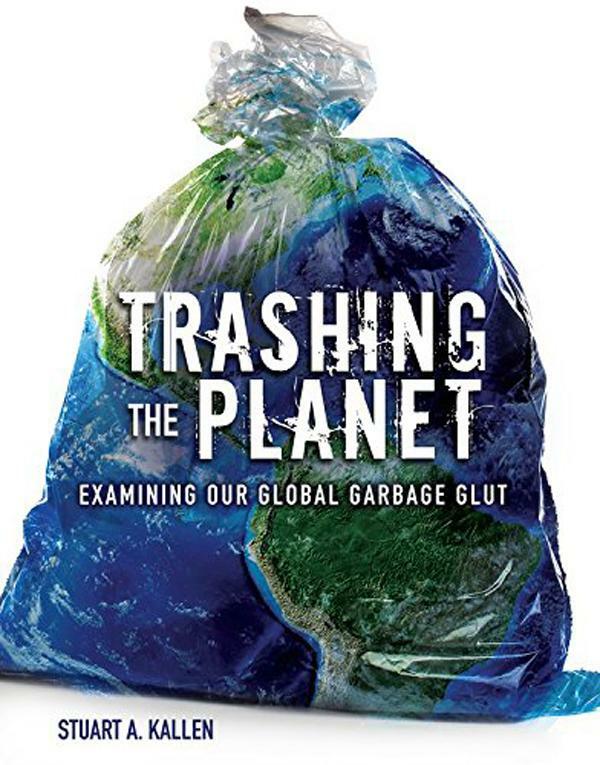 Trashing the Planet: Examining Our Global Garbage Glut by Stuart Kallen. August 1, 2017. Twenty-First Century Books, 104 p. ISBN: 9781512413144. Int Lvl: YA; Rdg Lvl: YA; Lexile: 1200. On a global scale, humans create around 2.6 trillion pounds of waste every year. None of this trash is harmless—landfills and dumps leak toxic chemicals into soil and groundwater, while incinerators release toxic gases and particles into the air. What can we do to keep garbage from swallowing up Earth? Reducing, reusing, recycling, and upcycling are some of the answers. Learn more about the work of the US Environmental Protection Agency, the Ocean Cleanup Array, the zero waste movement, and the many other government, business, research, and youth efforts working to solve our planet’s garbage crisis. Grades 8-12. It is easy to forget about the refuse that people discard once it’s in the garbage can, but this book seeks to draw the attention of young readers to an ever-growing problem: the tremendous amount of trash polluting the earth. This puts modern ecological issues in historical context, explaining the impact of the Industrial Revolution on human consumption and the genesis of the environmental movement. Color photographs of some of the most polluted areas drive home the severity of the global garbage problem, while charts, maps, and diagrams support understanding of fundamental STEM concepts. Additionally, the topic lends itself to discussions of global politics and international relations, as well as the economic differences between underdeveloped and developed nations. Soundly researched and carefully sourced, the text speaks to the complexity of the issue, while offering suggestions for action in readers’ own backyards. Kallen hits the right balance of informative, cautionary, and alarmist, helping young readers grasp the urgency of the global garbage issue and be inspired to act on it. Stuart A. Kallen has written more than 350 nonfiction books for children and young adults. His books have covered a wide arc of human history, culture, and science. Kallen is also an accomplished singer-songwriter and guitarist in San Diego, California. Auma’s Long Run by Ecuabeth Odhiambo. September 1, 2017. Carolrhoda Books, 304 p. ISBN: 9781512427844. Int Lvl: 3-6; Rdg Lvl: 4.8; Lexile: 740. Auma loves to run. In her small Kenyan village, she’s a track star with big dreams. A track scholarship could allow her to attend high school and maybe even become a doctor. But a strange new sickness called AIDS is ravaging the village, and when her father becomes ill, Auma’s family needs her help at home. Soon more people are getting sick even dying and no one knows why. Now Auma faces a difficult choice. Should she stay to support her struggling family or leave to pursue her own future? Auma knows her family is depending on her, but leaving might be the only way to find the answers to questions about this new disease. Grades 6-8. In her impressive debut, Odhiambo throws readers into a bustling nineties Kenyan village with this in-depth look at family grief. Auma is 13 and in year seven at her primary school. She loves running, has dreams of leaving Koromo to go to high school on a track scholarship, and wants to be a doctor. But when her baba (father), looking thinner, returns early from his job in Nairobi, and more people in her village start dying, Auma starts questioning everything she knows. Then her father dies, and Auma must decide whether to continue her schooling or work to feed her family. By the end of the novel, Auma is 15, but she’s grappling with decisions that would overwhelm most adults. In this gut-wrenching look at the AIDS epidemic in Kenya in the nineties, Odhiambo flawlessly weaves Kenyan tradition and culture with appropriate preteen problems (discussing crushes, competing in track meets). A detailed fictionalized portrayal of the effects of a very real disease, this novel would be an excellent asset to classrooms everywhere. Eucabeth Odhiambo is a professor of teacher education at Shippensburg University in Pennsylvania. As a classroom teacher she has taught all grades between kindergarten and middle school. 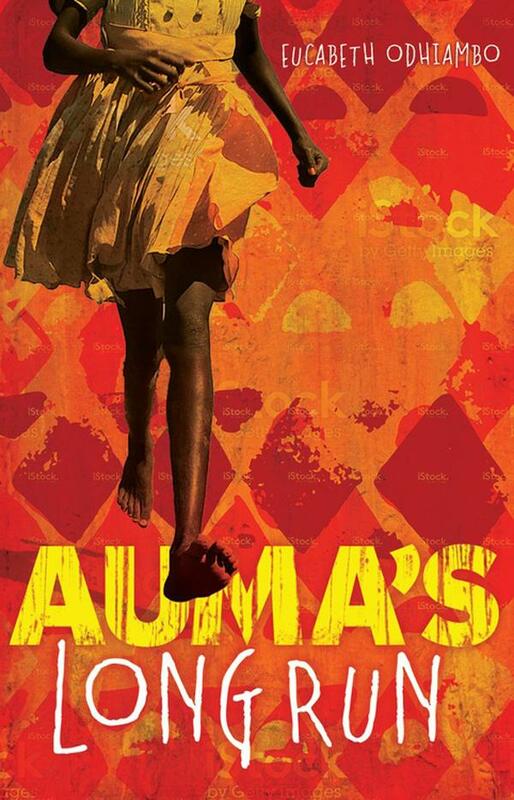 Auma’s Long Run is her first novel. 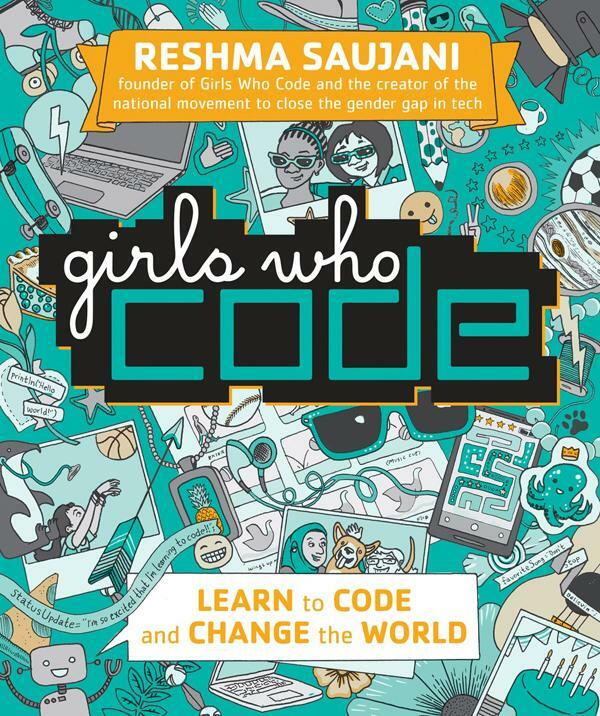 Girls Who Code by Reshma Saujani. August 22, 2017. Viking Books for Young Readers, 176 p. ISBN: 9780425287538. Int Lvl: 5-8; Rdg Lvl: 6.7; Lexile: 990. Grades 6-10. Saujani, founder of Girls Who Code (a national nonprofit organization that educates young women with computing skills), is on a mission to close the gender gap in technology. With the help of multicultural girls, represented in appealing tween- and teen-friendly cartoon images, the author introduces the concept of coding, some of its terminology, and its problem-solving process. 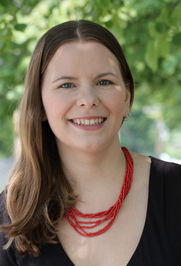 Using a conversational tone and easy-to-understand examples (such as comparing coding to stringing different patterns of beads), she also explains numerous real-world applications of coding, including digital art, websites, mobile apps, animation, video games, and robots. The text does not teach specific coding skills or languages (although they are represented graphically), but readers who are studying these on their own will benefit from chapters on design, debugging, and other related topics. Particularly eye-opening are interviews with current female coders in high-tech fields and with the featured multicultural girls, all of whom describe projects on which they’ve worked. Above all, this book makes coding less intimidating and more inspiring to today’s young women. 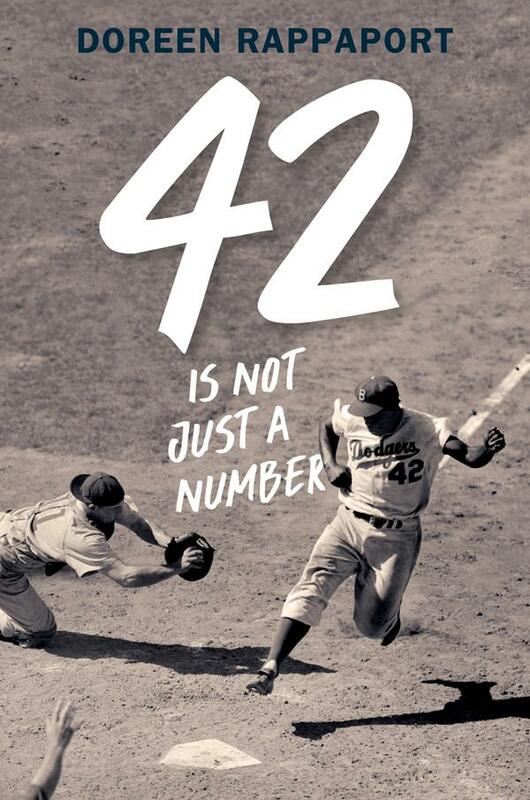 42 Is Not Just a Number by Doreen Rappaport. September 5, 2017. Candlewick Press, 128 p. ISBN: 9780763676247. Int Lvl: 3-6; Rdg Lvl: 6.9. 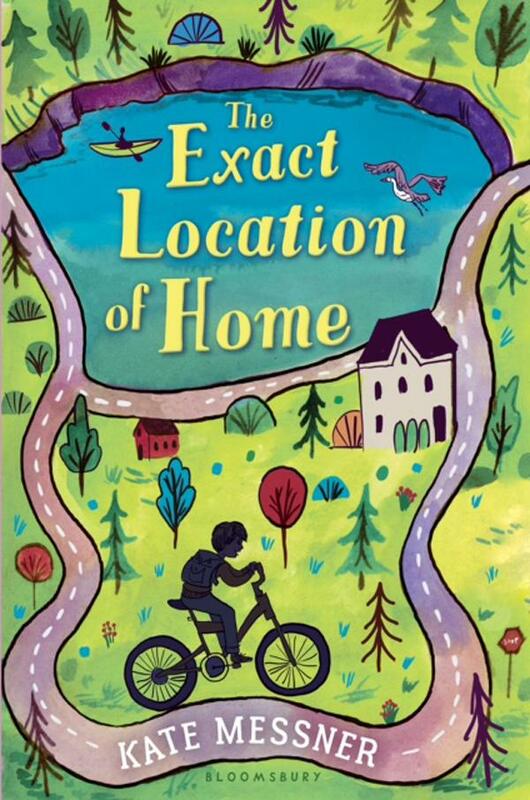 The Exact Location of Home by Kate Messner. September 12, 2017. Bloomsbury USA, 256 p. ISBN: 9781681195483. Int Lvl: 3-6; Rdg Lvl: 5.1. Grades 4-7. Learning that Dad has (once again) canceled his plans to visit isn’t exactly a surprise to 13-year-old Zig. But after a year without seeing his father, it’s a major disappointment. Zig spends his free time geocaching with friends. Soon, with little money for food and none for rent, he and his mother move into a homeless shelter. He avoids telling even his best friend, Gianna, about their situation. When his teacher schedules a class visit to the shelter, Zig dreads discovery, but more painful is his mother’s eventual revelation that his father is in prison. Messner creates a sympathetic character in Zig, whose narration reflects his believable unwillingness to take his father off a pedestal throughout most of the novel. Within the story, Messner gently overturns some stereotypes about homeless shelters and their residents. The narrative flows well and sweeps readers along, though the conclusion ties up loose ends too quickly and neatly. Still, readers hoping for a happy ending will not be disappointed. A companion book to The Brilliant Fall of Gianna Z (2009). Kate Messner is a former middle-school English teacher and the author of E. B. White Read Aloud Award winner The Brilliant Fall of Gianna Z. and its companion, The Exact Location of Home; Sugar and Ice; Eye of the Storm; Wake Up Missing; All the Answers; The Seventh Wish; Capture the Flag; Hide and Seek; the Marty McGuire chapter book series; the Ranger in Time chapter book series; and several picture books. She lives on Lake Champlain with her husband and two kids. When she’s not reading or writing, she loves hiking, kayaking, biking, and watching thunderstorms over the lake. 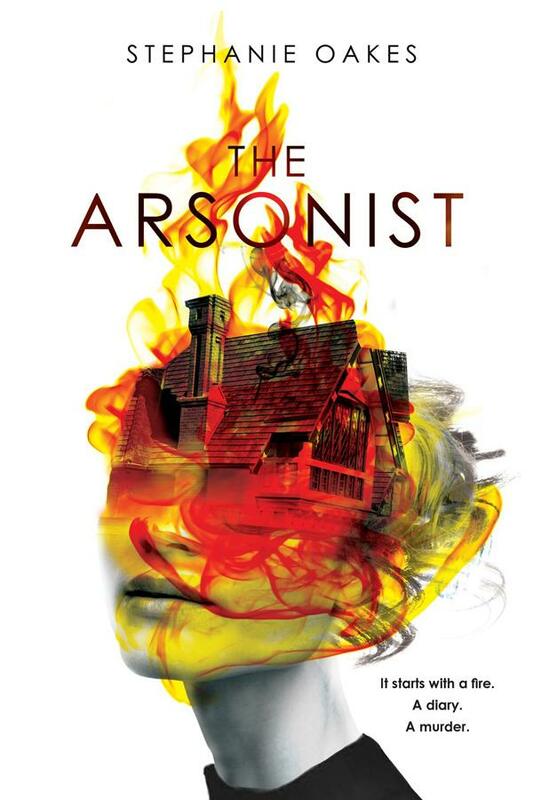 The Arsonist by Stephanie Oaks. August 22, 2017. Dial Books, 493 p. ISBN: 9780803740716. Int Lvl: YA; Rdg Lvl: YA; Lexile: 770. Molly Mavity is not a normal teenage girl. For one thing, she doesn’t believe that her mother killed herself three years ago. And since her father is about to be executed for his crimes, Molly is convinced that her mother will return to her soon. Finally, the hole in her heart will stop hurting. Grades 9-12. When Ava Dreyman was killed in an East Berlin prison, all she left behind was a diary. Decades later, that diary might hold the truth about Molly Mavity’s mother’s disappearance, but she’ll need the help of Kuwaiti American Pepper Al Yusef to unlock its secrets, and they’ll have to travel all the way to Berlin and back to do it. Oakes’ sophomore novel unfolds in a series of soul-bearing letters (from Molly to Pepper) and lighthearted essays (Pepper’s last-chance assignment to graduate high school), all interspersed with passages from Ava’s compelling diary. Though the middle drags a bit, and the ultimate reveal might be predictable to some readers, Oakes has some brilliant moments—Ava’s mother, a resistance fighter who burns East German buildings, gives fiery speeches about anger, destruction, and power. Molly and Pepper’s lively friendship unfolds with spirited warmth, and intricate connections between their families tantalizingly come to the surface. Packed with dynamic characters, thoughtful writing, and a decades-spanning mystery, this will appeal to readers looking for something off the beaten path. 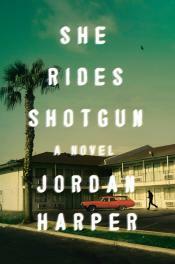 She Rides Shotgun by Jordan Harper. June 6, 2017. Ecco, 272 p. ISBN: 9780062394408. Int Lvl: AD; Rdg Lvl: AD; Lexile: 610. When short-timer Nate McClusky kills a member of the Aryan Steel prison gang in Susanville, California, the victim’s brother (who happens to be the gang’s president) sends a death warrant from Supermax—not only for Nate but also for his ex-wife, Avis, and his daughter, Polly. Nate survives his last week in prison but returns home to find Avis dead. Picking up 11-year-old Polly from middle school, he intends to drop her off with a relative until circumstances suggest the only way to keep her permanently safe is to take on Aryan Steel and hit them where it hurts. Polly is at first terrified (and contacts the police) but soon displays an aptitude for crime—she’s her father’s daughter, after all—and decides she wants to be more than just a passenger. Meanwhile, in chapters that read like mid-period James Ellroy, Detective Park searches the bleak and barren parts of California for the girl who now regrets her call for help. From its bravura prologue to its immensely satisfying ending, this first novel (Harper previously penned the short story collection Love and Other Wounds, 2015) comes out with guns blazing and shoots the chambers dry. It’s both a dark, original take on the chase novel and a strangely touching portrait of a father-daughter relationship framed in barbed wire. In his first novel, Harper returns to the seamy criminal fringe he explored in his story collections (Love and Other Wounds, 2015, etc.) for a grim yet moving tale about an ex-con’s efforts to protect his young daughter.Meek, intellectually precocious 11-year-old Polly finds her tattooed, heavily muscled father, Nate, waiting outside her school in Fontana, California. Having been in prison for more than half of Polly’s life, Nate has now been granted an early release. Unfortunately, though, the head of the Aryan Steel gang has just put out a call from his prison cell for his gang members to kill Nate, his ex-wife, and their daughter. Polly’s mother is knifed before Nate can reach her, but he takes Polly on the run to evade hit men while planning how to stop the vendetta. His love for Polly overpowers and empowers him, but there is no sentimentality here—he recognizes with paternal pride that she shares his “buried rage.” He trains her to fight, then takes her along when he robs stores and attacks his Aryan Steel enemies. Although she remains attached to her teddy bear, Polly discovers she takes after her badass daddy more than she or he imagined. 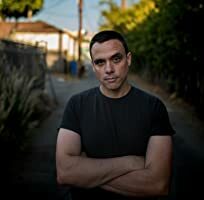 The novel combines striking images, like Nate’s “gunfighter eyes” and the “old man of a car” he shows up driving, with disturbingly raw violence—a drug mule gutted by a crooked sheriff to get out the merchandise, the same sheriff gouging out an eye. Even more disturbing are the characters’ raw emotions: after witnessing Nate hold an Aryan Steel member’s back against the coals from a barbecue-grill fire until he gives desired information, Polly finds herself smiling. Yet there is a moral core here. Acknowledging that his vengeful behavior is “dumb and selfish,” Nate knows he isn’t good for Polly. And despite her developing toughness, Polly retains her urge to save the innocent. For all the darkness and even ugliness displayed, the characters’ loyalty, love, and struggle for redemption grip the reader and don’t let go. Jordan Harper was born and educated in Missouri. He’s worked as an ad man, a rock critic and a teevee writer. He currently lives in Los Angeles. In Some Other Life by Jessica Brody. August 8, 2017. Farrar, Straus and Giroux (BYR), 464 p. ISBN: 9780374380762. Int Lvl: YA; Rdg Lvl: YA; Lexile: 640. Three years ago, Kennedy Rhodes secretly made the most important decision of her life. She declined her acceptance to the prestigious Windsor Academy to attend the local public school with her longtime crush, who had finally asked her out. It seems it was the right choice―she and Austin are still together, and Kennedy is now the editor in chief of the school’s award-winning newspaper. But then Kennedy’s world is shattered one evening when she walks in on Austin kissing her best friend, and she wonders if maybe her life would have been better if she’d made the other choice. As fate would have it, she’s about to find out . . . The very next day, Kennedy falls and hits her head and mysteriously awakes as a student at the Windsor Academy. And not just any student: Kennedy is at the top of her class, she’s popular, she has the coolest best friend around, and she’s practically a shoo-in for Columbia University. But as she navigates her new world, she starts to wonder whether this alternate version of herself really is as happy as everyone seems to believe. Is it possible this Kennedy is harboring secrets and regrets of her own? 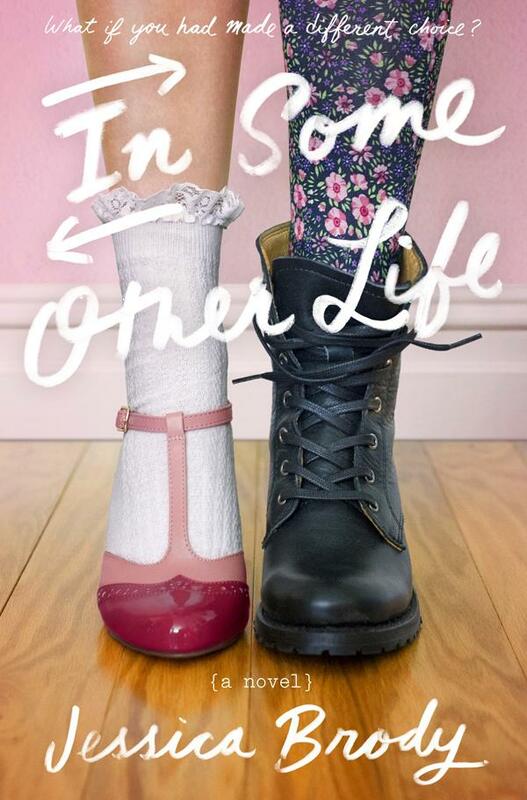 A fresh and funny story about how one different choice could change everything, Jessica Brody’s In Some Other Life will keep readers guessing, and find them cheering for Kennedy until the final page. Grades 7-10. Right before her freshman year, Kennedy Rhodes made a life-changing decision: she declined acceptance to the prestigious Windsor Academy to attend the local public school with her longtime crush and new boyfriend. Three years later, the decision seems to have been the right one—at least until a series of events makes her wonder what life would have been like if she had chosen differently. Luckily, she gets to find out when she mysteriously wakes up as a Windsor student the following day in a life that she’s only dreamed of having. Kennedy quickly learns how that life isn’t all it’s cracked up to be, either. Brody crafts a lighthearted story very much in the vein of her A Week of Mondays (2016), examining the impact our choices can have on our lives, and showing that even the things that we most desire can come with unknown sacrifices. Though the plot itself can be slightly predictable at times, Brody’s novel captures the essence of high school through her well-developed characters. A whimsical exploration of the theory of the multiverse. 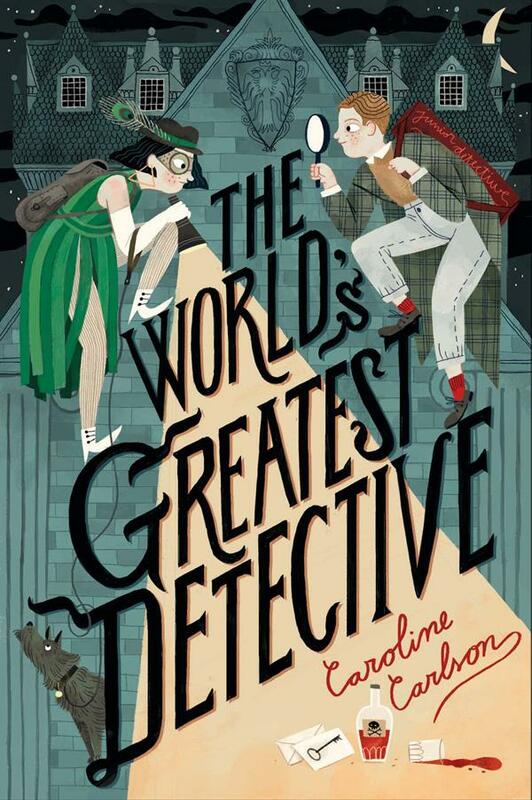 The World’s Greatest Detective by Caroline Carlson. May 16, 2017. HarperCollins, 368 p. ISBN: 9780062368270. Int Lvl: 3-6; Rdg Lvl: 6.3; Lexile: 840. Grades 4-7. Since his parents disappeared while on a trip to the sea, Toby Montrose has been passed around to every one of his relatives, and now he’s on his last one, so he has to be on his best behavior or he fears he will be doomed to the orphanage. Luckily for Toby, this last relative is Uncle Gabriel, owner of Montrose Investigations, who lives on the notorious Detectives’ Row, right down the street from a famous detective Toby idolizes: Hugh Abernathy, who has a line of customers waiting every morning, and whom Uncle Gabriel can’t stand. When Hugh Abernathy invites Uncle Gabriel to a competition to determine who’s the world’s greatest detective, he refuses. And when Toby decides to go in his place, the contest transforms into a real mystery when someone turns up dead. As Toby and his new friend Ivy and her dog, Percival, begin to question suspects, they uncover secrets about the detectives, including a long-buried history between Uncle Gabriel and Hugh Abernathy. Toby is an instantly endearing lead, and the fictional world of Colebridge, with its sleuthing population, crimes, and Detectives’ Row, is sure to captivate readers. The witty dialogue, clever characters, and twists and turns are sure to keep young sleuths riveted. A dream come true for young mystery fans. 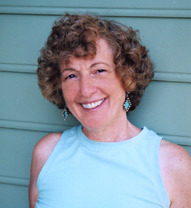 Caroline Carlson holds an MFA in Writing for Children from Vermont College of Fine Arts. 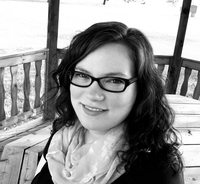 She is an assistant editor of Children’s and Young Adult Literature at the literary journal Hunger Mountain. Before writing her first book, she worked as a textbook editor and helped to organize the children’s summer reading program at her hometown library.